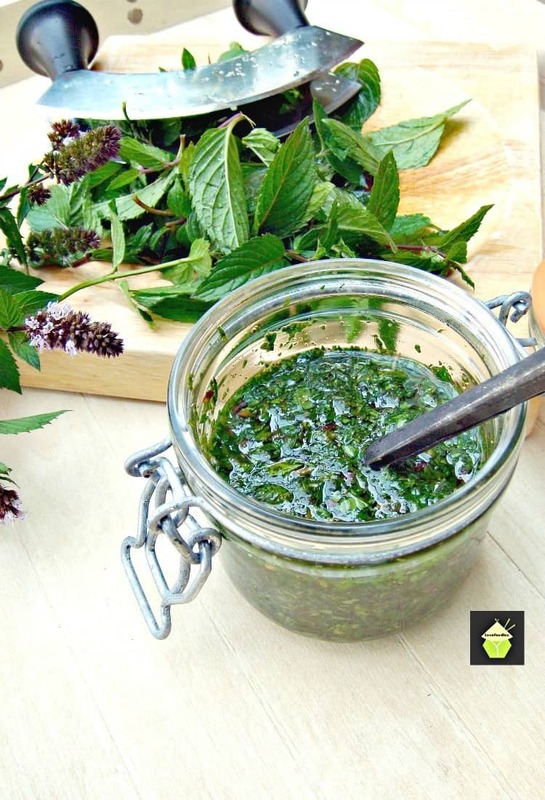 How To Make Easy Mint Sauce. Simple, homemade recipe, great with a roast dinner or to use as a marinade! Mint! Ahhhhh …. there is nothing like the aroma and taste of fresh mint. This herb is so flexible in it’s use, extremely easy to grow, and if not kept in check, will just keep on growing and growing until your garden is overtaken by this herb! I have had a pot of mint in my garden for many years, each Autumn, I cut it back, and as soon as the warm weather appears again, the mint wakes up and starts flourishing and growing at the pace of lightening! I would always advise to keep in a pot or hanging basket, simply because it really will spread everywhere if allowed to. There are many uses of mint in the food world, and probably the most common are to use simply as an infusion to make tea. This is very popular in Middle Eastern countries, or add in a cocktail or long drink, such as a punch or Pimms. I use it mainly to add to ice cold water, together with some lemon slices, in a jug with ice cubes and simply serve as is. It makes for a very refreshing ‘flavoured’ water on a hot Summer’s day. 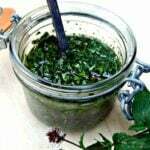 I also use it often in marinades, and mint will marry very well with yoghurt or even buttermilk, and used for chicken. However, the most traditional use for mint is to pair it up with lamb, and make a mint sauce, which you would have on a Roast Lamb dinner. Now this is most delicious, and if you have never tried this combination, please do! 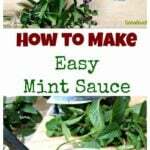 Here, I show you a very simple and quick way to make Mint Sauce, it will take you moments to make, and will taste so much better than store bought. Simply because there are no chemicals or additives, preservatives etc. Just simple ingredients. 4 – 6 Teaspoons of Brown or White Regular Sugar. (Brown is better if you have it handy). 1. Wash the mint well and discard any stalks which are thick and tough. Then chop finely. 2. Place the mint in a bowl and add 1 Tablespoon of the vinegar. Give it a stir and it should be a thick consistency, like in the photo. If you need a little more vinegar, add a little at a time until you are happy with the thickness. You should be able to have a blob of mint sauce on a teaspoon without it being watery. 3. Next, add a few teaspoons of sugar and stir well. Taste the mixture, and add a little more sugar until it is as sweet or sharp to your liking. Some people like mint sauce very sweet, others like it sharp, so you must judge for yourself and taste as you add. Once you are happy with the balance of taste, place in the fridge (minimum 30 minutes) until you are ready to use. It will keep in an airtight container or covered with plastic wrap for a few days. Come and check out our other goodies on Pinterest! Follow lovefoodies’s board !! !The Best Recipes For Pinning!!! on Pinterest. 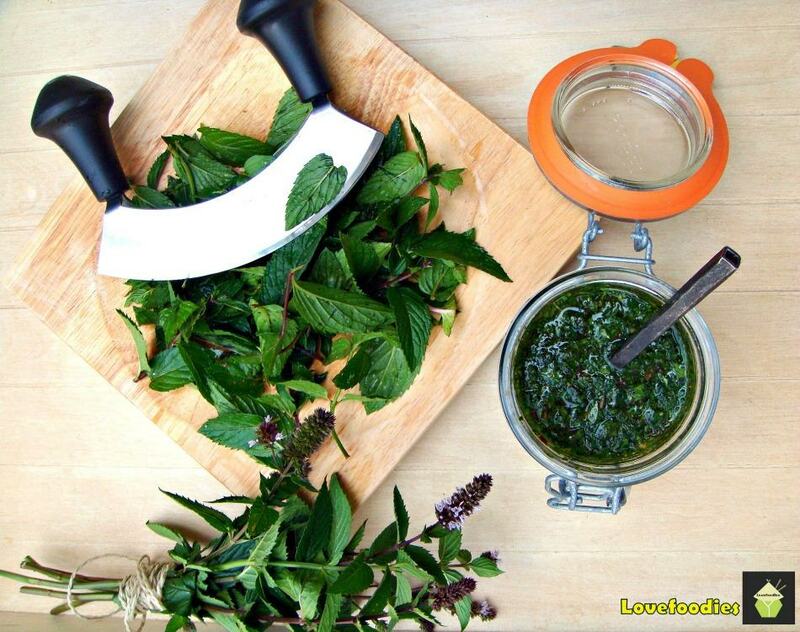 Wash the mint well and discard any stalks which are thick and tough. Then chop finely. Place the mint in a bowl and add 1 Tablespoon of the vinegar. Give it a stir and it should be a thick consistency, like in the photo. If you need a little more vinegar, add a little at a time until you are happy with the thickness. 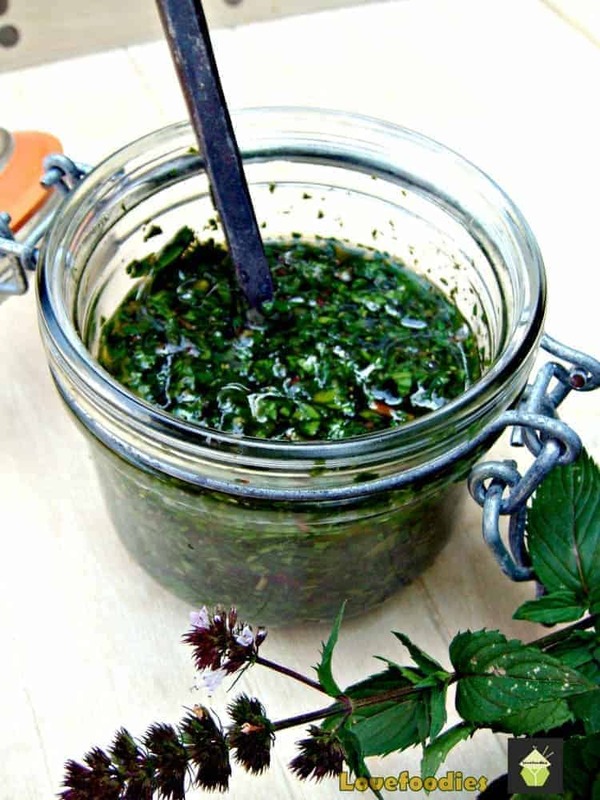 You should be able to have a blob of mint sauce on a teaspoon without it being watery. Next, add a few teaspoons of sugar and stir well. Taste the mixture, and add a little more sugar until it is as sweet or sharp to your liking. Some people like mint sauce very sweet, others like it sharp, so you must judge for yourself and taste as you add. I like your post interesting and very helpful, specially with me looking for the simplest ways of doing things. Thanks…simple is always the best.